We've finally managed to grab a restock on the most sought-after social deduction game on the market: Secret Hitler. 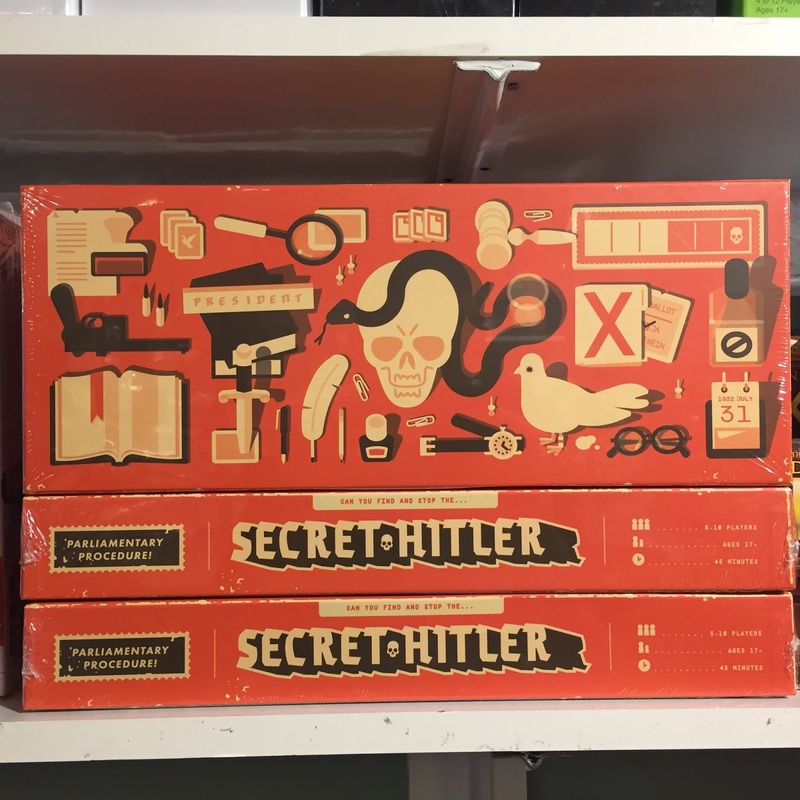 In this beautifully made game of deception and power, the Liberals and Fascists struggle for control of the Weimar Republic. Each round, players elect a Chancellor and a President, who then must pass a policy. Five passed Liberal policies secures a future of free democracy for Germany--but the lurking Facists, in liberal garb, will aim to pass their own, authoritarian policies. And if Hitler manages to get himself elected Chancellor, the game is instantly over! 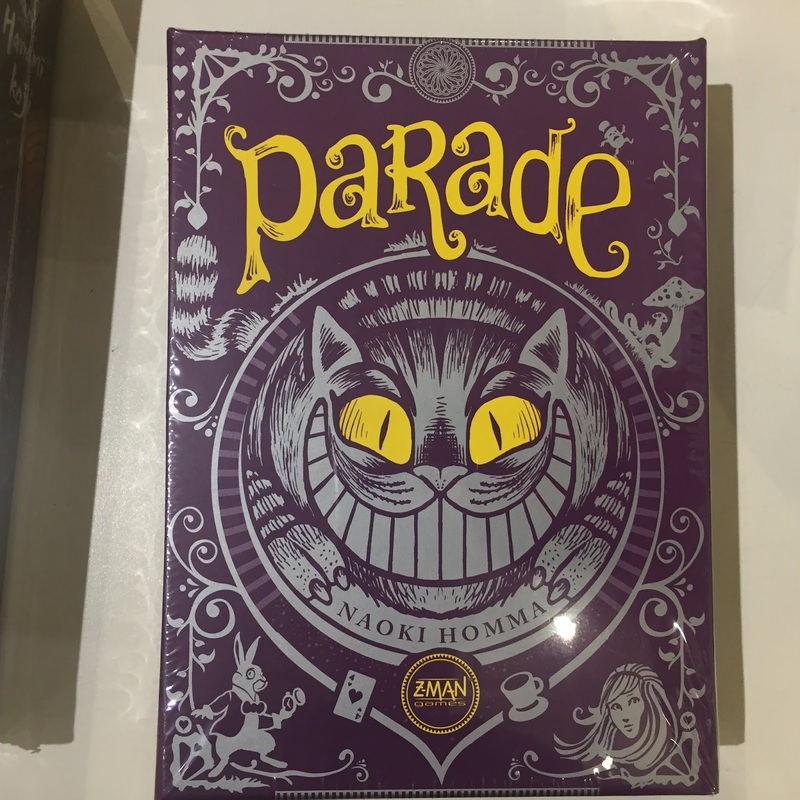 Also returning to Labyrinth is the beloved card game Parade! Set in the fantastical world of Lewis Carroll, players must assemble a parade of characters from Wonderland. 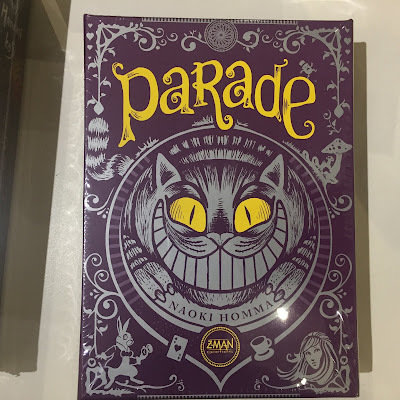 Chain cards together with colors and numbers, but beware crowding people out of the Parade, because lost cards are negative points. The most riotous parade wins! Arriving at Labyrinth is the sequel to 5 Minute Dungeon, 5 Minute Marvel. 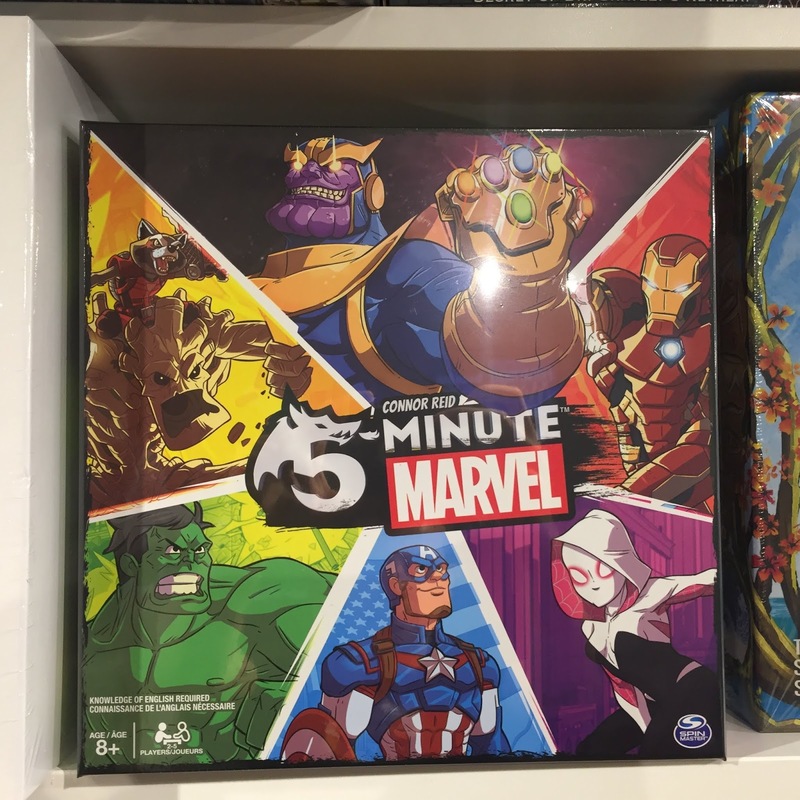 This real-time cooperative card game has players assume the roles of one of ten Marvel superheroes who battle against one of six super villains. Work together to save the day, but beware: you only have 5 minutes to win! 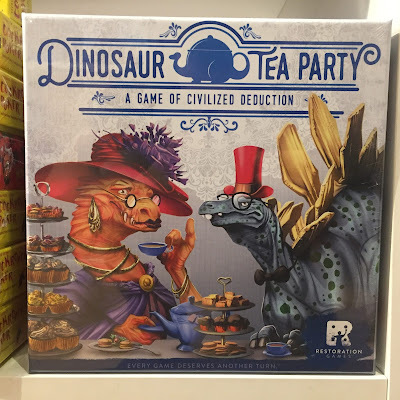 Dinosaur Tea Party is an amusing new entry into the social deduction genre, centered around high-society etiquette and dinosaurs. 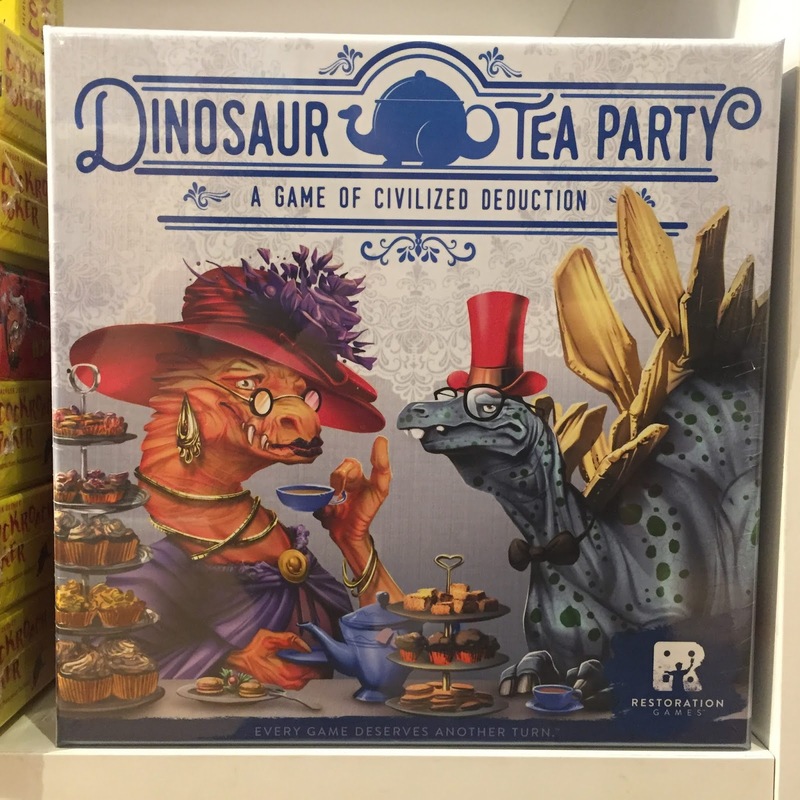 Everyone is attending a high saurian society soiree, only--how embarrassing--you've forgotten everyone's names! Inquire around the problem discreetly, and try and figure out who's who before you commit a fatal faux pas. 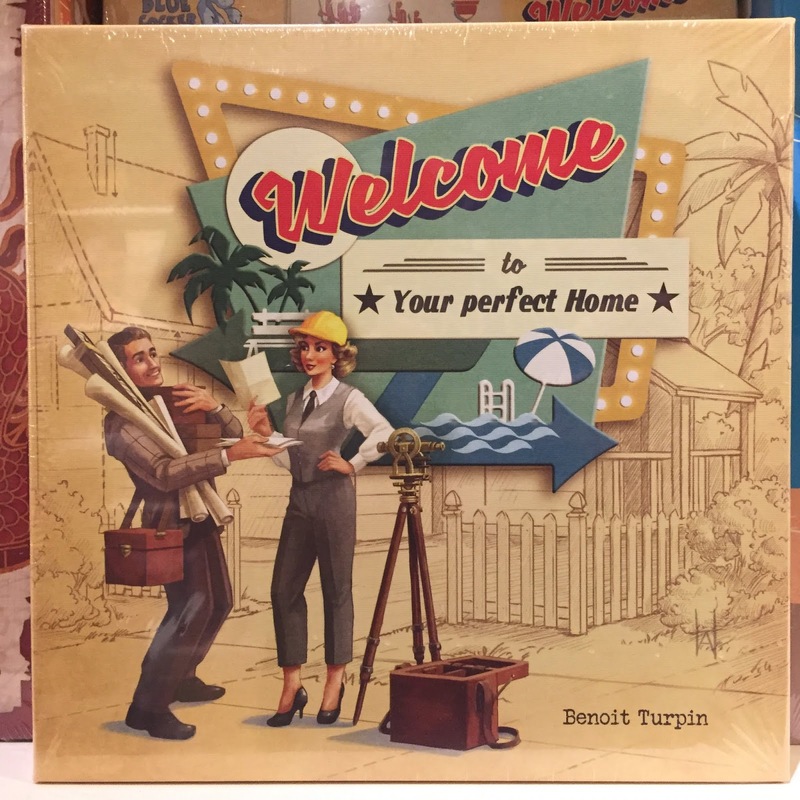 Welcome To is a roll-and-write game of neighborhood development...without dice! 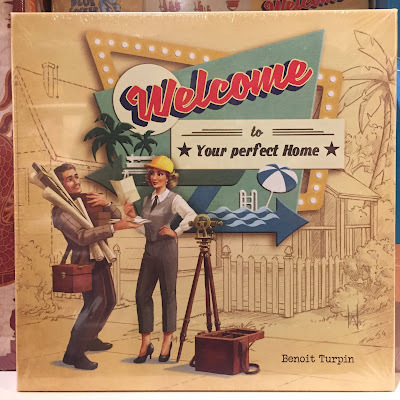 Players flip cards to determine the character of the houses they build, marking out house numbers on the neighborhood charts in this simultaneous game. House numbers must be played in ascending order, but the distribution isn't even, so without care you can lock yourself out-or trap your rivals! Tons of people can play at the same time, making this an excellent party game. 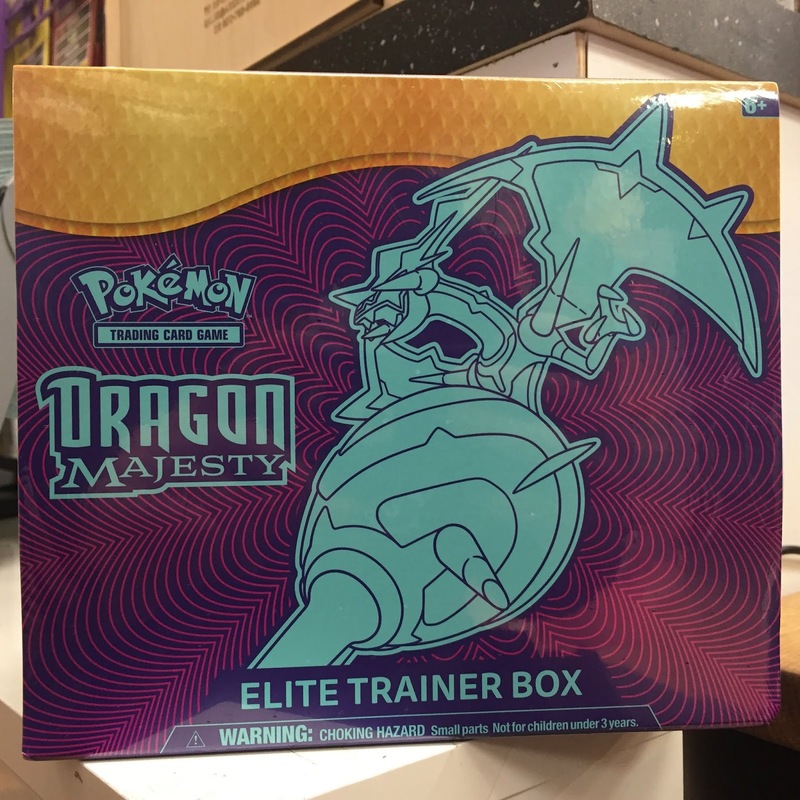 The next step in the Dragon Majesty set, this box has everything you need to summon the power of these majestic Pokemon. It contains ten packs, sixty-five card sleeves, and forty-five energies. Also included are twenty Dragon type Pokemon, six new Pokemon GX, two Prism Star Cards, and six full art cards. This is a must have! Catch & Count is a new game for our young players. 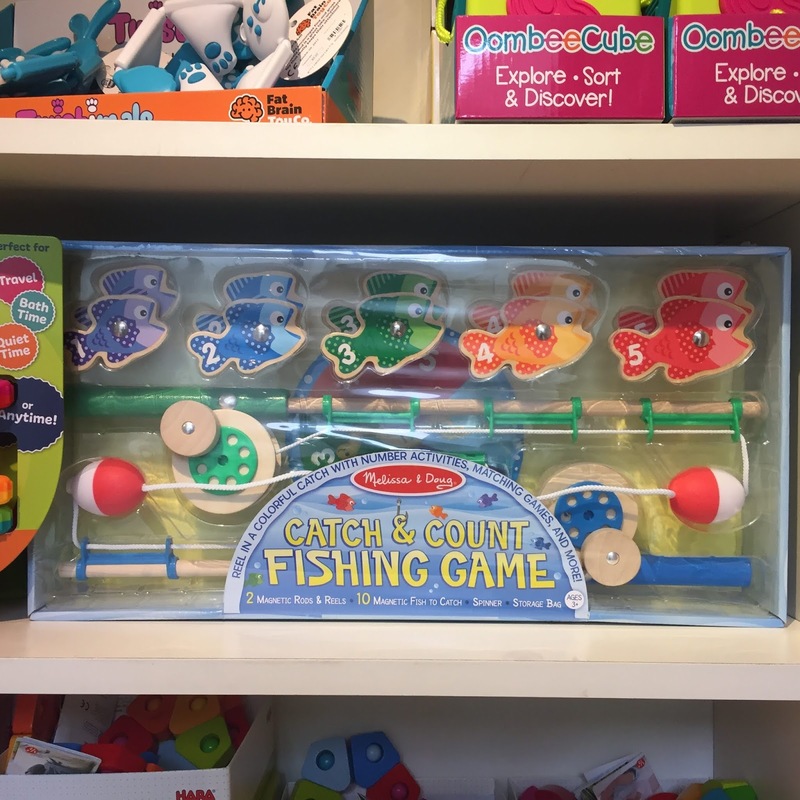 Featuring colorful wooden fish and two magnetic rods, players will have a blast learning colors and counting.